Looking for a way to prepare all your Searcher-caught fish? 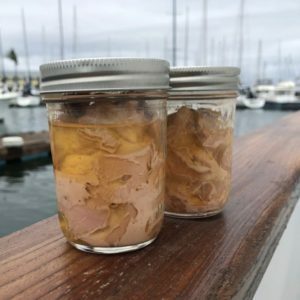 How about giving Dave B.’s family recipe for jarred (canned) fish a try? 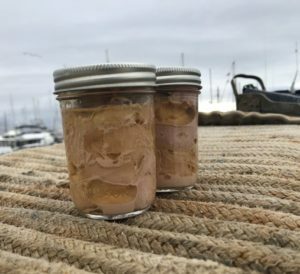 Dave says wahoo and yellowfin are his favorites to jar. 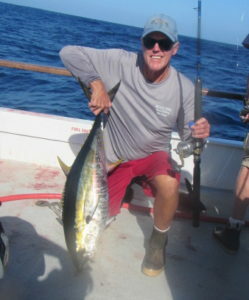 (He said that yellowtail was too strong and bluefin he had to throw out as it was too strong.) It’s delicious and worth a try. Cubed fish and salt are placed in the jars. Fish added first, then add salt. Enjoy! The shelf life is quite long.